The average cost of memory care in Bedford is $3,447 per month. This is lower than the national median of $4,650. Cheaper nearby regions include Salem with an average starting cost of $2,455. Caring.com has helped thousands of families find high-quality senior care. To speak with one of our Family Advisors about memory care options and costs in Bedford, call (855) 863-8283. Across the state of Virginia, 140,000 seniors are currently living with Alzheimer's disease. In the town of Bedford, about 20.9 percent of its 6,500 residents are 65 years of age and older, and may have some type of dementia. Specialized treatment for these seniors can be found at Special Care Units (SCUs), which may either be a self-contained unit part of an assisted living center, or a facility of its own. Bedford has two of these facilities, and an additional five are available in surrounding communities. Bedford is home to world-class medical facilities, including those specializing in brain health and dementia care, such as Centra Bedford Memorial Hospital, in the event of medical emergencies or illness. Based on the U.S. national average of 100, the cost of living in Bedford is rated 91.4, much lower than the overall state average of 114. Housing, transportation and grocery costs are low, which may allow seniors some flexibility in the areas which they have to allocate the majority of their funds when budgeting for memory care services. Out of a possible 100, with 100 considered high crime, the town scores 14.7 in terms of violent crime, compared to an average of 33.6 in the Lynchburg metropolitan area and 31.1 across the U.S. While violent crime rates are significantly lower in Bedford, property crimes rates are very high, scoring 50.3 compared to 32 across the region and 38.1 nationally. When touring an SCU, consider asking about any policies and procedures it has in place to ensure the safety and security of its residents. With its mild climate, seniors in Bedford can be expected to live quite comfortable year-round. In terms of overall comfort, the town scores a 55 out of 100, with 100 being the best. Winter temperatures only drop to a low of 27 degrees and the area receives just 13 inches of snow per year. Summer highs can reach the mid-80s, and on average, the town sees 215 sunny days. Memory Care costs in Bedford start around $3,447 per month on average, while the nationwide average cost of memory care is $4,798 per month. It’s important to note that memory care rates in Bedford and the surrounding suburbs can vary widely based on factors such as location, the level of care needed, apartment size and the types of amenities offered at each community. To see a list of free memory care resources in Bedford, please visit our Assisted Living in Virginia page. 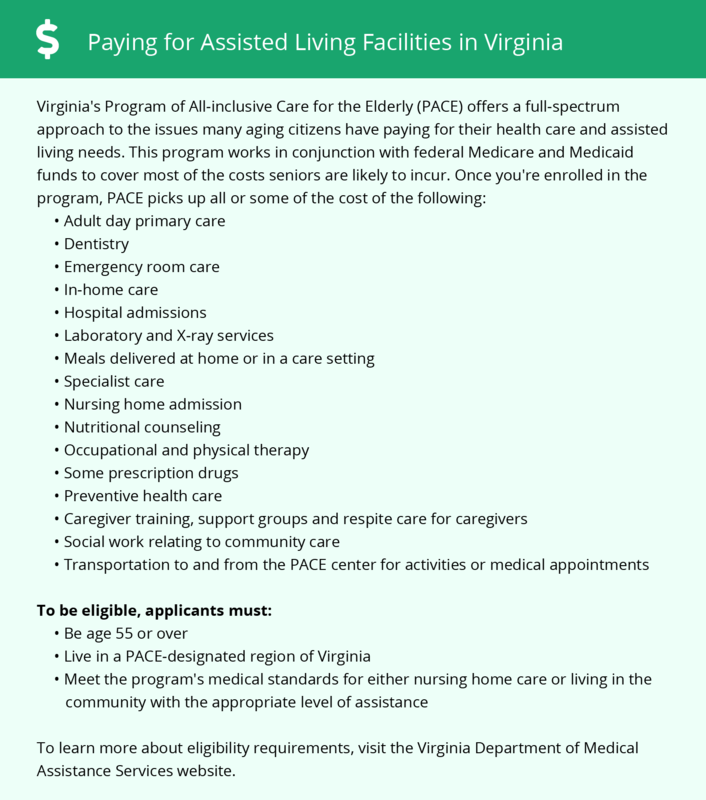 Bedford-area assisted living communities must adhere to the comprehensive set of state laws and regulations that all assisted living communities in Virginia are required to follow. Visit our Memory Care in Virginia page for more information about these laws.